Sony announced that it is now selling its PlayStation Portable, PlayStation 2 and 3 consoles in the Socialist Republic of Vietnam. As of January 16th, 2010, citizens of the Socialist Republic of Vietnam will be able to purchase Sony videogame consoles in their country. Vietnam is now the eighth Asian nation in which Sony sells its videogame hardware. PlayStation Portable is 5,990,000 Vietnamese Dong or US $319.33. The PlayStation 2 will retail for 4,490,000 Vietnamese Dong (US $239.37), while the PlayStation 3 is being sold for 9,990,000 Dong ($532.57). Any way you cut it, that's a lot of Dong. 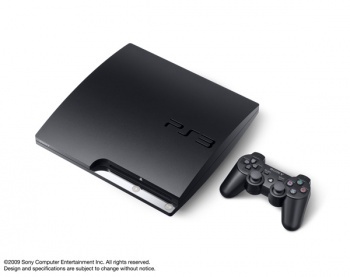 The PlayStation 3 model being sold in Vietnam is the "slim" model with a 120gb hard drive which was released last year. "While inheriting the sleek curved body design of the original model," Sony said. "The form factor of the new PS3 system features a new meticulous design with textured surface finish, giving an all new impression and a casual look." Previously, if you wanted a PlayStation in Vietnam, you were forced to import it yourself. There is no mention as to why Sony did not sell its consoles in the country before, or why the sales are now allowed in the Socialist nation.